Every football team has a corps of players who contribute a tremendous amount to the team, but don't get their names mentioned on the sports wrap up. These players make up the scout team, giving the CMU starting eleven a good look in preparation for that week's opponent. At CMU, the best of those players is honored with the Iron Man Award. And who was the Iron Man in 1985 and 1986? 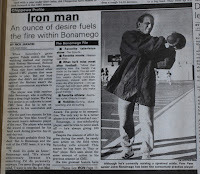 It was current CMU coach John Bonamego. 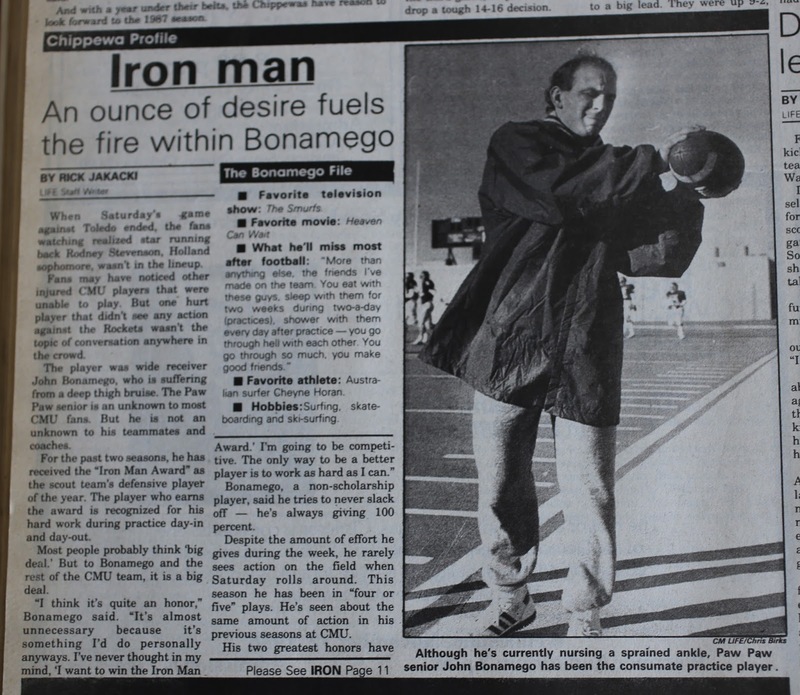 Check out this CM Life profile of Coach Bono from November 12, 1986 (p. 10) (click on the images of the newspaper articles to see a zoom-in). Among the fun facts in this article - Coach Bono watched the Smurfs, loved surfing, and he was the co-Captain for the 1986 Homecoming game against Toledo. Fire Up, Coach Bono and Fire Up, Chips!